It is set against those that seek multiple paths, and since birth, we are herded toward singularity. Sure, it starts out open; you have choices. You’re able to play multiple instruments, multiple sports, but as you get older, the more our system revolts against those, like you perhaps, and like me, who are intrigued by the endless possibilities that the world has to offer. We are told we have to choose. Choose one path. Choose that one thing you are passionate about. That one thing that you are interested enough in to possibly make a career out of. That’s how we become great professionals, right? Wrong; the more specialized we become, the more we are blinded to the big picture. Let me explain. You know those giant pictures where each large square or pixel is, in fact, a smaller picture? If you stand far enough away, you can appreciate the big picture. As soon as we get too close, focus too much on a single frame, or single pixel, we begin to lose sight of how each of these interacts with one another. This is not to say that one perspective is greater than the other; both are unique and valuable. We need people who are particularly specialized in what they do, but without those few who can take that step back, the big picture and the ‘interconnectedness’ of life is lost. So like I said, our system is rigged. It tells us that the more you focus on a single thing, the better you will be—more valuable, more unique, and more integral to the inner workings of our system. This is where I make the bold (and at times, difficult) move of challenging this system. Problems in the “real world” are not limited to one discipline of study or one approach. When you negotiate with your trick-or-treat buddy on Halloween—trying to make your candy stash as preferable as possible—you are engaging in all three prevalent disciplines. You need to negotiate and persuade effectively to obtain as much of your favorite candy as possible: humanities. You need to understand how your friend thinks and what is ethical and reasonable in the concept of sharing: social sciences. And you need to know how to evenly share and divide up your candy so each party walks away happy: natural science. Without each of these, you are bound to fail…or end up with all the pieces nobody wants. Those who are successful in this scenario are those who can take that step back, see how each specialty interacts with one another, incorporate just enough of each, and create a perfect balance. Unfortunately, we live in a day and age where we are streamlined. We are told we must choose one discipline to study for the rest of our life, pay thousands of dollars to educate ourselves in this one field, and yet, we seek creative and innovative employees in a job force of billions. So, what’s my point, you ask? Why rant on about our lack of choice? Because it ostracizes and criticizes students like myself who do not fit nicely into this system. As a result, I challenge you reading this right now to listen to that inner voice that wants to explore, and to revolt against the norm. When you’re looking for that next stage in your education, seek a system that allows you to appreciate the big picture. As I see it, there are three attitudes in pursuing this perspective. You can either, a) Go in knowing one field you want to study, but have the opportunity to experience other disciplines and gain their perspectives; b) Go in knowing multiple fields of interest and have the opportunity to explore each discipline; or c) Go in without knowing any area of particularly strong interest and have the opportunity to explore and discover what area or areas you’re interested in. The common thread here: Find that which allows you the opportunity to explore. It is through this exploration that we begin to build a diverse perspective, and diversity breeds creativity. It breeds creative problem solving, innovative thinkers, and competitive employees. It breeds a society where we begin to integrate with one another and maximize our potential. For me, I found my home at the University of Rochester. I chose neuroscience to have something on the books when I first started as a freshman, but I was truly undecided at heart. If only I had been bold enough to come in undecided…. But alas, ce la vie. However, by graduation, I ended up with a major in English, courses in neuroscience, brain and cognitive sciences, anthropology, computer science, and an almost-minor in American Sign Language. I changed my major, oh, about three times along the way (and another three in my master’s program—but that’s a story for another day). If anything, I was better for it. 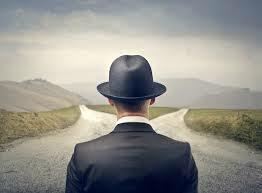 Sure, my decision met criticism, but the path of the bold often does. So, at the end of the day, no matter where you find yourself on the spectrum of knowing your interests, find a home in a college where you can explore your true potential—and its many quirks, interests, and specialties along the way. You’ll be glad you did.